Designed by Jille Natalino, Elizabeth Kelley, Rob Hurst and Joanna Milewski. This project was done as a team for the IOPP 48 hour repack challenge. Six of us worked over one weekend to create a men's dress shirt packaging that would eliminate excess packaging waste, present dress shirts in a new "stand up" way, turn into a hanger, help with folding, and provide extra collar stays. 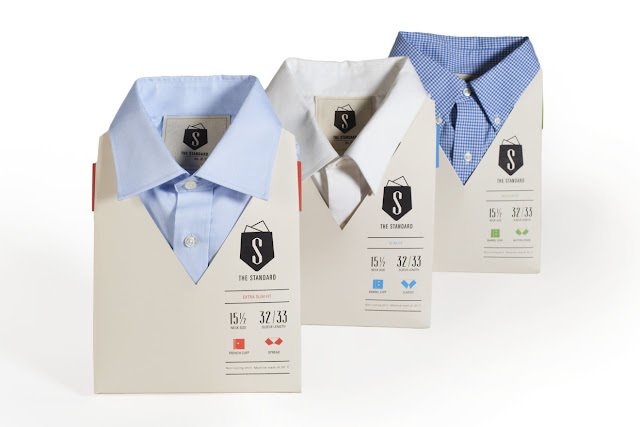 Existing dress shirt packaging is a wasteful combination of plastic, cardboard, tissue paper and hidden pins. Dress shirts are difficult to unpack, restock in the store, and disassemble at home. 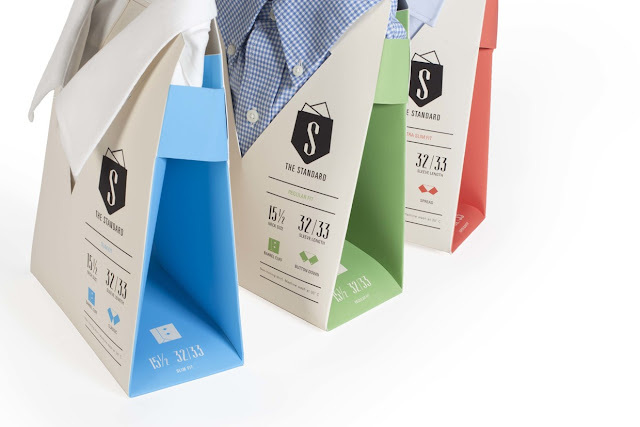 The Standard shirt packaging is an upright form that makes it easy for clerks to stock a tidy display. 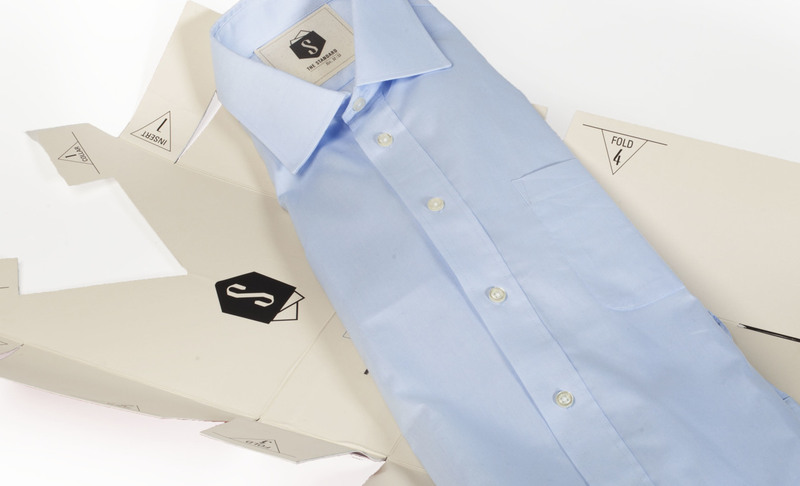 When the customer decides to try on a shirt, the package easily and neatly unfolds. 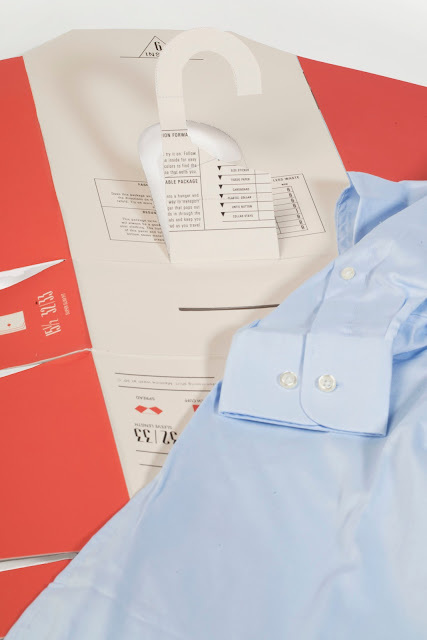 If he decides against purchasing, a simple guide inside the package assists in refolding the shirt, leaving the package looking just as polished as before. 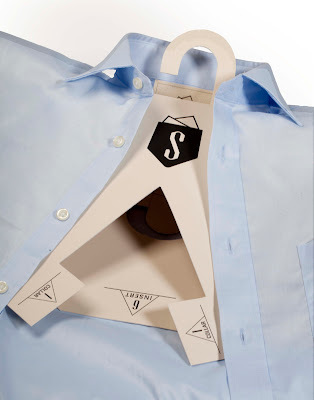 Once purchased, the customer can reuse the package to fold shirts for suitcase packing, or refold the package and pop out the perforated hook to create a structural shirt hanger. 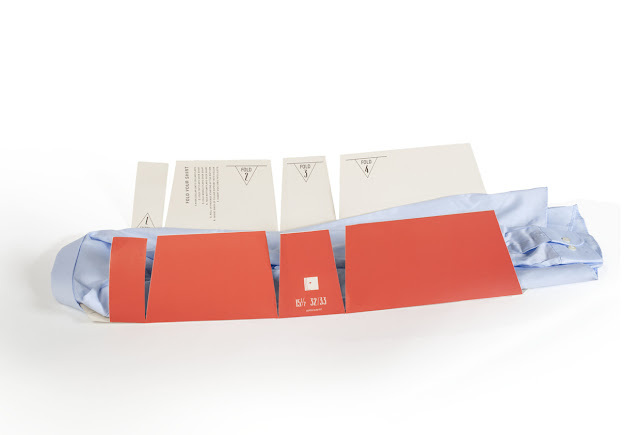 Extra collar stays are perforated into the packaging. A minimal color palette and bold, informative icons help navigate the style and fit options easily.